At 1406 hours, Box 88-2 sent Company 88 (Middletown), Engines 59-1 (Lower Swatara), 54 (Londonderry), and 74-1 (Elizabethtown) to 207 E. Roosevelt Avenue for a residential structure fire. Duty Officer 88 (Fink) went enroute and advised of a fire on the side of the house under the carport. 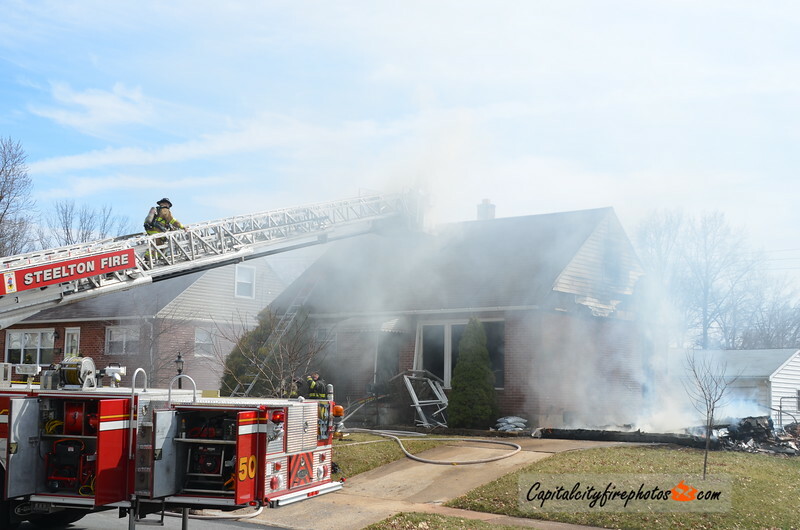 PD reported a working fire and they were attempting to get an occupant out. The balance of the first alarm was requested to the scene. Duty Officer 88 arrived with fire showing from all sides of a 2 story, single family, dwelling and confirming entrapment. Engine 88 stretched a line for fire attack and rescue, successfully removing an occupant from a second floor bedroom. The fire extended from the first floor to the 2nd floor and attic before being brought under control using several hand lines.